UTJ's Yakov Asher says party isn't trying to steal votes from Shas, no guarantee haredi parties will continue working with PM Netanyahu. MK Yakov Asher (UTJ) on Sunday said his party aims its campaigns only at its own potential voters, and not at the Shas party's. UTJ is the Knesset's Ashkenazic-haredi party, while Shas is the Sephardic-haredi party. "In earlier times, the haredi parties received 17-18 Knesset seats, and that's what we're aiming for," Asher told the Kol Barama radio station. "We're not taking anything from Shas, because every party works for four years - not just prior to elections - with the communities it is connected with." 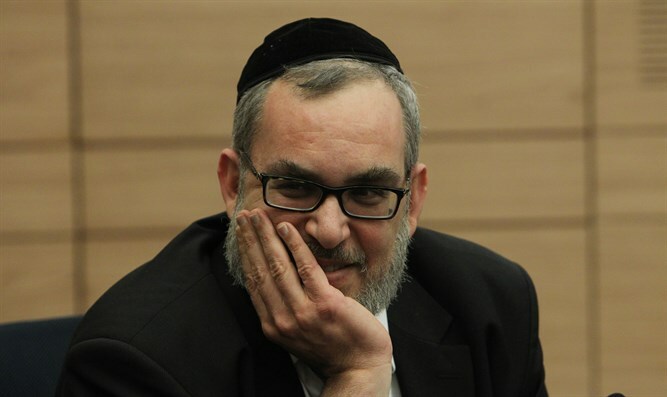 Regarding voters moving from the haredi parties to other parties, Asher said, "The issue of haredim voting for 'supporting' parties, for their own reasons, is something we've had in the past as well. We face two challenges: The first challenge is those who are apathetic and don't feel a need to vote, and the [second] is the voters who make their own decisions and don't understand that the only ones concerned about the haredi citizen are the haredi parties." Asher also noted that it the haredi parties may not continue cooperation with Israel's right-wing bloc. "The Likud is with us only because they want to rule," he said. "We are loyal partners to [Israeli Prime Minister Binyamin] Netanyahu and we're not eyeing his seat. The Likud representatives are very far away from our point of view, and Netanyahu certainly isn't a friend of Degel Hatorah (one of UTJ's factions - ed.). He prefers this partnership, but we have no guarantee that it will continue."